Strange, Scary, and Spectacular - Can You Guess What These Science Pics Are? An injured animal? The remnants of some horrific forest crime scene? 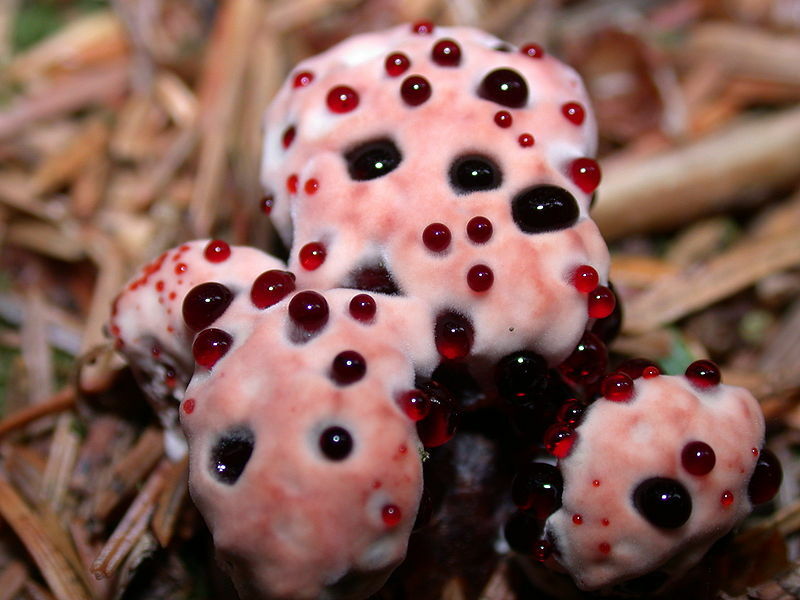 None of the above: This is a perfectly ordinary fungus that goes by the name Hydnellum peckii. 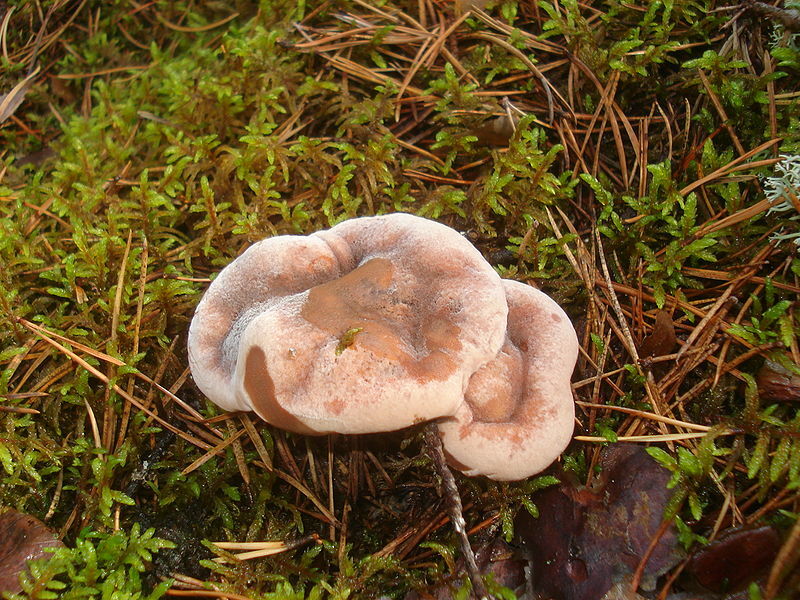 Although, it's unusual appearance has provided all kinds of nicknames, including bleeding tooth fungus, Devil's tooth, and - for some reason - "strawberries and cream". 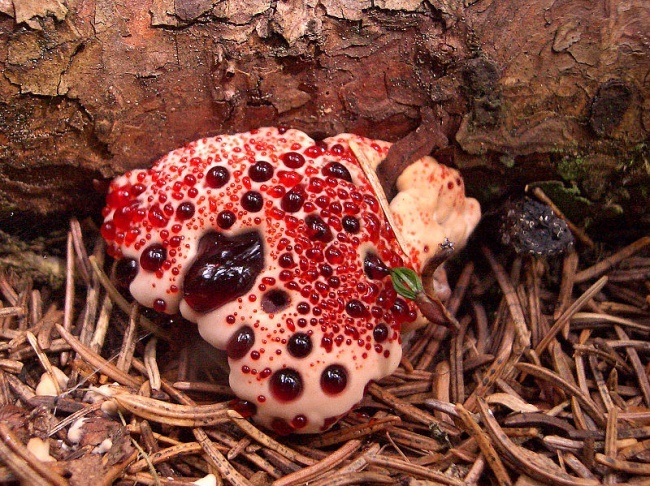 While the liquid looks like blood, it's actually a kind of sap that appears on the surface of young fungi. 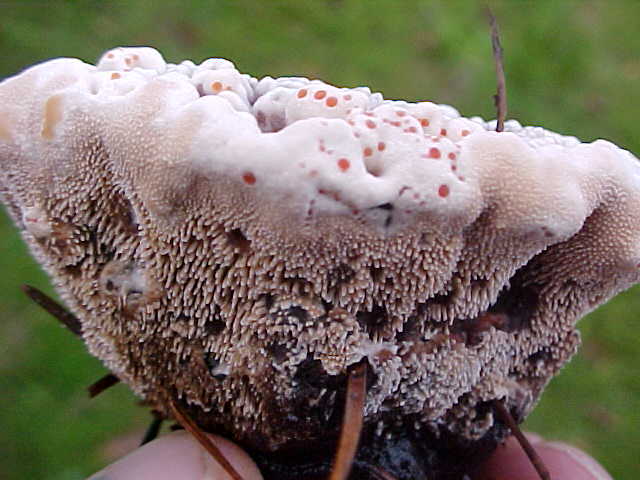 Later in life, the bleeding tooth fungus stops displaying the fluid and darkens to a grayish-brown color. Ironically, the substance actually contains a pigment with anticoagulant properties, pretty much the exact opposite of how blood normally functions. Even though you may not have seen it in person, the bleeding tooth fungus is surprisingly common, reaching from Alaska to North Carolina. Humans use the plant for creating color dyes, but otherwise it tends not to have much use - but apparently that hasn't stopped some people from trying to eat them for some reason. Let me spare you the trouble: They're not poisonous, but remain inedible and very bitter tasting. Because apparently "don't eat it" needs to be explained when you see a bleeding plant in the woods. That's it for this week! How did you do? Feel free to post your answers and reactions in the comments!